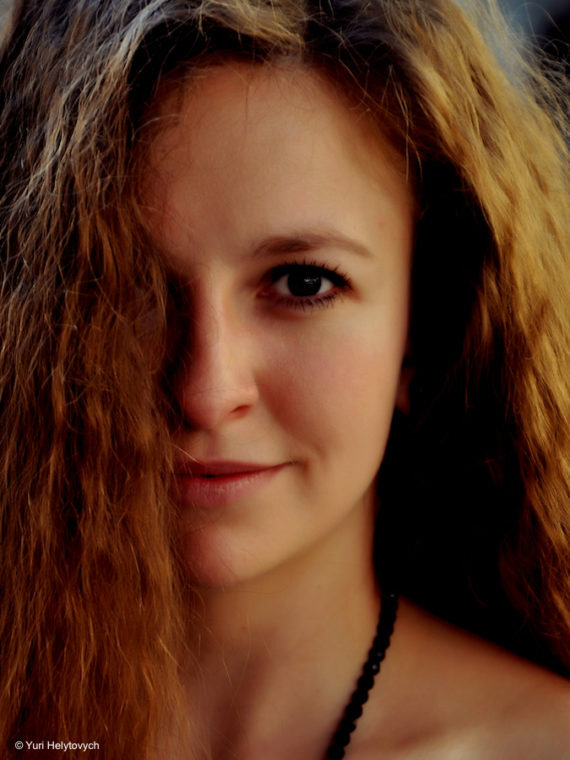 Christina Daletska is one of the most versatile young singers of her generation and she stands out thanks to her extraordinary enthusiasm for works from the 20th and 21st centuries. Recent highlights included performances of Nono’s Prometeo with the SWR Baden-Baden Freiburg Symphony Orchestra under the baton of Ingo Metzmacher in Amsterdam, Paris, Zurich and at the Ruhrtriennale, Berio’s Folk Songs (Orchestre de Chambre de Lausanne/Heinrich Schiff), Romitelli’s An Index of Metals (BIT20 Ensemble/Baldur Brönnimann), Schönberg’s Gurre-Lieder (Orquestra Sinfónica do Porto/Stefan Blunier) and Webern Lieder (Remix Ensemble/Peter Rundel). 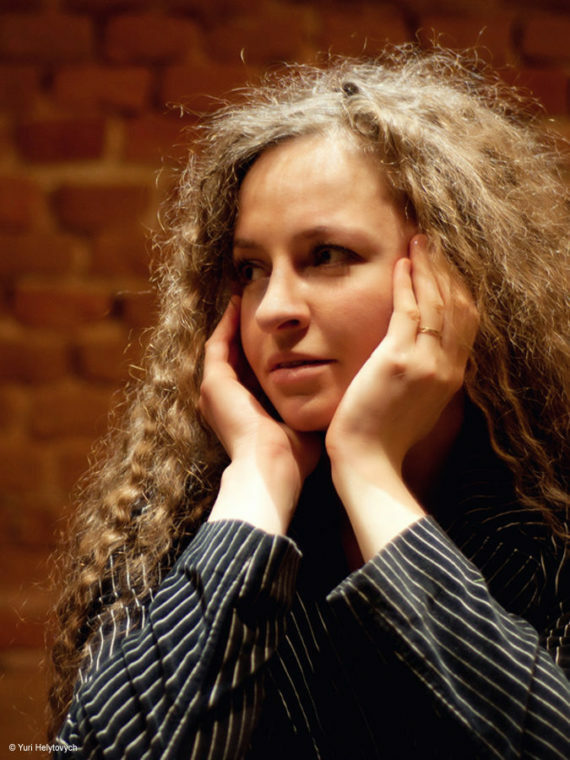 In 2013, she made her debut with the Ensemble Intercontemporain under the baton of Pierre Boulez in Paris singing Philippe Manoury’s Gesänge-Gedanken. She has also performed with the Mozarteum Orchestra Salzburg, the Mahler Chamber Orchestra, the Balthasar-Neumann Ensemble, the Tonhalle-Orchestra Zurich, the Bern Symphony Orchestra, the Orchestre Philharmonique de Liège, the Swedish Radio Symphony Orchestra Stockholm as well as with conductors such as Daniel Harding, Ivor Bolton, Riccardo Muti, Thomas Hengelbrock, Louis Langrée, Jun Märkl, Christopher Hogwood, James Gaffigan, Christian Zacharias, Teodor Currentzis, Zsolt Hamar, Stefan Soltesz, Douglas Boyd, Kirill Karabits. Concerts and recitals have also taken her to the Tonhalle Zurich, the Salzburg Festival and the Beethoven Festival Bonn. At the age of 23, she appeared on the opera stage for the first time singing in the role of Rosina in Rossini’s Il barbiere di Siviglia at the Teatro Real Madrid. She then went on to perform further mezzo-soprano roles such as Cherubino (Le nozze di Figaro) at the Graz Opera, Lucilla (La scala di seta) at the Zurich Opera House, Mercedes (Carmen) at the Festspielhaus Baden-Baden, Annio (La Clemenza di Tito) in Paris, London, Bremen and Dortmund, Idamante (Idomeneo) in London, Baden-Baden and at the Mozartfest Würzburg. Further engagements led her to the Opéra de Lyon as Zerlina (Don Giovanni) and as Masha (Shostakovich’s Moscow, Cheryomushki) and to the Konzert Theater Bern as Angelina (La Cenerentola) and Piacere (Il Trionfo del Tempo e del Disinganno). In 2017, she sang the world premiere of Philippe Manoury’s Kein Licht at the RuhrTriennale followed by performances at Musica Strasbourg, the Opéra Comique Paris, the Croatian National Theatre Zagreb and the Grand Théâtre Luxembourg in the stage direction of Nicolas Stemann. In 2018, she made her debut at the Teatro La Fenice di Venezia in the role of Queen Elisabeth in the Italian premiere of Giorgio Battistelli’s Richard III led/directed by Tito Ceccherini/Robert Carsen. In fall 2018, she again performed Georges Aperghis’ Migrants and Leoš Janáček’s/Johannes Schöllhorn’s Tagebuch eines Verschollenen together with the Ensemble Resonanz and Emilio Pomárico. After successful concerts at MaerzMusik Berlin, the Elbphilharmonie Hamburg, the Wiener Konzerthaus further performances at the Philharmonie Luxembourg and the Muziekgebouw aan’t IJ Amsterdam followed. In summer 2019, she will sing the world premiere of LAST CALL by Michael Pelzel at the Opernhaus Zurich under the musical direction of Jonathan Stockhammer and in the stage direction of Chris Kondek. She is a musician with a wide range of interests outside of music – she speaks seven languages and her committed activism on human rights issues has led to her being named an Ambassador by Amnesty International. Details to projects will be publishes soon. Christina Daletska has a dark, rich contralto; maybe it wasn’t the music but the startling sound that emerged when she sang ‘Oh, Mensch! Gib Acht!’ which prompted the thoughts of Mahler. Crowe and Daletska blended beautifully, Crowe’s upper register gleamed above the stave, Daletska the more expressive, especially in the Agnus Dei. The vocal talent didn’t stop at the leads. Christina Daletska’s trembly little Annius was terrifically pretty. Christina Daletska [was] a lovely Amor.